"I have seen your byline hither and yon, and while I think you are a talented young man, I belive your gifts are more suited to fiction than to fact.' --Jack O'Connor in a letter to the Gun Nut in 1976. The PR: Via a licensing agreement with Jackson Safety Products, Winchester Ammunition [www.winchester.com] is introducing a line of affordable shooting glasses. 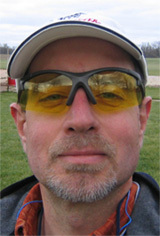 Both lenses and frames come in various colors, and models come with various features, such as interchangeable lenses, UV protection, and -- thank you, Winchester -- magnification inserts. The Takeaway: I’m one of those 40-and-over people who needs to use those damnable reading glasses in order to see any print closer than an arms-length away. That includes, of course, all those words and numbers on shell boxes and in game-law compendiums. 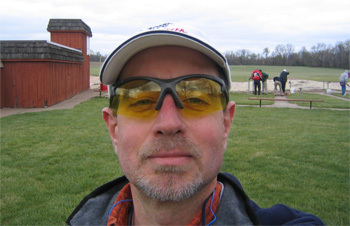 The Reader series of Sport Glasses, which has magnification inserts, means I will never again have to walk around a rifle range, clays course, or pheasant field wearing reading glasses under my safety lenses, which makes me feel both old AND stupid looking. New York City Mayor Michael Bloomberg seems to have become the gun-grabbing poster boy of the year. For some months, he has led a campaign among his fellow mayors to crack down on handguns, and has used the shootings at Virginia Tech to fuel his rhetoric. Now let’s say the Mayor is willing to part with $10 billion. That means he could take 10 million handguns off the streets (if ever there were that many) and still have $3 to $5 billion left over to buy himself the White House. There would hardly be a handgun to be found in America. The next time a potential mass murderer walks into a gun store, he will come out with an aluminum baseball bat, because that’s all they will have. Non-gun-owning acquaintances ask me why anyone needs more than a few firearms. I say to you, the American people, why does anyone need $15 billion? It is time, Mr. Mayor, to stop the rhetoric and put your money where your mouth is. Yesterday, I was at a gun dealer in Connecticut and we were talking about Virginia Tech. He told me the following story. “The other day we had a young man in here trying to buy a pistol. He was poorly dressed, acting strangely, and had no driver’s license. I said we couldn’t sell him anything without some real I.D. and him going through the regular handgun-purchase process. He asked if he could take a handgun instruction class. We said no. Then he started leaping up and slapping some of the displays hung from the ceiling. I said that I didn’t have an answer. And apparently no one else does, either. There is something particularly terrible about young people dying violently because they have been deprived of everything—the husbands and wives they never married, the kids they never had, and the contributions they might have made to society. Their lives are gone before they have really begun. They are dead because a tormented kid with a gun decided to copy what other tormented kids have done. They are dead because any number of institutions and people failed them. Seung Hui-Cho bounced around in the Virginia Tech system like a lethal pinball. The only people who saw how dangerous he was worked in the English department. Aside from those few teachers, everyone failed, including a legal system that is so concerned with the protection of an individual’s rights that it puts the rest of society at risk. Apparently, administration officials at Virginia Tech would have been unable to expel Mr. Cho or do anything else effective even if someone had the brains and the initiative to tell them they had an authentically dangerous student on their hands. A few news sources have recalled the first campus massacre, which took place in Austin, Texas, in August, 1966. A deranged gunman named Charles Whitman took up a firing position in the University of Texas tower, and began killing people. But when it was revealed where the sniper was, off-duty law enforcement officers and civilians put down a hail of gunfire on the tower and in doing so, probably saved lives. However, it is politically incorrect to recall this part of the story. The Usual Suspects in Congress have been strangely silent about the need for new gun laws as the result of the massacre. This is probably because it’s an election year, but it may be because there is plenty of blame to go around in this one and it has nothing to do with guns. Most of the parties involved were simply incompetent. The only really reprehensible group is the media, and in particular, NBC-TV News. The same organization that found Don Imus intolerable has had no problem in granting a mass murder’s last wishes by giving prime air time to his recorded ravings. Since they aired the tapes and it blew up in their faces, we have heard from NBC that there was considerable and agonized debate over whether to air them. But in the name of journalism, and bringing you the news, etc., etc., they felt they had to. And sooner or later, he will. Two colleagues and I just completed our testing of five rifles for Best of the Best, and once more, a great truth was confirmed: A good rifle shoots well immediately. A bad rifle will gross you out right away. Ugly ducklings do not turn into swans, or vice-versa. Two of the rifles we tested had excellent pedigrees. One was a .22 LR; the other a .223. The three of us shot them with all sorts of ammo, and the ghastly results left us muttering to ourselves. They should have done well, but they didn’t. And they were not going to do well. The other half of this topic is: How much testing do you have to do? Kenny Jarrett, in working up a load for one of his rifles, looks for three good groups in a row. I think that’s adequate, but it’s also the minimum. I like four or five. On the other hand, if you go beyond five, you are either compulsive or you have a lot of money to spend on bullets. Once in a great while I’ve had a rifle that should have shot well but didn’t, but because I had a lot of money in the thing I was willing to test it at great length. One such gun was a gorgeous .270 made by Joe Balickie. I shot it until my trigger finger blistered, and was about to send it back for another barrel when I found that it liked H205 powder (now discontinued). If I fed it H205 it would burp and fart and shoot wonderful groups. Another gun that I shot to the point of exhaustion was a custom left-hand-Mauser-action .338. I shot every 250-grain Nosler Partition that Bob Nosler made that year, and it wouldn’t shoot. I had a new barrel put on, and it still wouldn’t shoot. When you do that and nothing good happens, it’s time to say good-bye, so down the road it went. But these are the rare exceptions. Ninety-nine percent of the time you get the good news or the bad news on the first trip to the range. My wife often rearranges our cats. She picks them up and places them at points in the house that meet some incomprehensible scheme of things. The cats, being well mannered, go along with this and then go right back to where they were. This is the way that gun oil behaves. You put it where you think it ought to go and then it goes where it pleases, which is usually into your stock, or your trigger, or your receiver. That is why we have grease. Grease stays where you put it. Here is a brief review of some different kinds of grease I’ve found useful. At the head of the list is RIG, which stands for Rust Inhibiting Grease. The stuff has been around since before World War II, and is the best thing I know of for preventing rust long-term. (It does not lubricate.) RIG is sold with a sheepskin pad, called a RIG Rag. You work a little into the wool and then wipe your guns. I’ve never had a RIGged gun rust on me. Next is white lithium grease, which is sold in hardware stores. It’s for lubrication, not rust prevention, and is best used on shotguns, where it clings like grim death. Trapshooters love it, except when it comes time to get it off. Lubriplate is similar, and just as effective. Birchwood Casey Choke Tube Lube, when applied to your choke tubes, will keep them from sticking. It seals the threads so all the nasty stuff can’t get at them. It also makes sensational stains on clothing. Brownell’s Action Lube Plus is highly useful at any point where there is friction, such as bolt lugs, or the front rings of rotary-dovetail scope mounts, or pistol slides. Use sparingly. Cosmoline is still around after who knows how many years, and will still do the job, although it is a nightmare to remove. And a safety note: I don’t believe in greasing the bore of any firearm. If it’s clean and oiled it won’t rust, and hardened grease that you’ve forgotten about can cause dire jumps in pressure. I know of a truly frightful accident that was caused at least in part by old grease in an Enfield bore. I was watching “Real Time with Bill Maher” the other night and was struck by one of his “New Rules” rules. He ranted about Governor Mitt Romney’s pretending to be a hunter, and then said words to the effect that if we had fewer presidents who hunted, we would get in fewer wars, due to the alleged connection between “cruelty” to animals and cruelty to people. Civil War, entered into by Abraham Lincoln, a non-hunter. Spanish-American War, entered into by William McKinley, a non-hunter. World War I, entered into by Woodrow Wilson, a non-hunter. World War II, entered into by Franklin D. Roosevelt, a non-hunter. Korean War, entered into by Harry S. Truman, a non-hunter. Vietnam, entered into by John F. Kennedy, a non-hunter. Presided over by Lyndon Baines Johnson, who shot deer from his convertible and picked up his beagles by their ears. Presided over by Richard M. Nixon, a non-hunter. Desert Storm, entered into by George Bush, a hunter. Iraq/Afghanistan, entered into by George W. Bush. I can’t find any real evidence that W. is a hunter; however, one website claimed that, as a boy, he enjoyed stuffing firecrackers in frogs, so I guess that counts for something. One the other hand, Vice President Cheney is a hunter for sure, and may actually be president, so we have to factor that in. And so, out of eight wars, only three had hunting presidents involved. Out of ten (or 11) presidents, only four had even the most tenuous connection to making the bunnies sweat. But I like Bill Maher. He is always angry, and sometimes funny, and frequently has interesting guests. A couple of years ago, the great custom gun maker Jerry Fisher told me: “An ape can be trained to do 98 percent of what I do. It’s the last 2 percent of the work that I charge all that money for.” And in case you wondering how much he does charge, the fee for a basic Fisher rifle is $15,000, and he has a waiting list that goes on for years. A gunmaker can turn out highly functional guns that are very often accurate quickly and cheaply, but the quality of fit and finish will always be lacking, because that’s the last 2 percent, and the last 2 percent costs money. In Jerry Fisher’s case, it’s the last stroke or two of the rasp that gives a subtle change of shape to a stock, or the removal of a last infinitesimal curl of wood that makes metal fit seamlessly to wood. In a factory rifle, the requirements are somewhat different, and American factory rifles, by and large, don’t do too well in this department. There are exceptions, but they tend to be in the high-priced range, notably Kimber and Weatherby. If you would like an education, have a gunsmith give you a 15-minute course on what to look for. Thirty years ago, a friend of mine who collected Smith & Wesson revolvers made a point I’ve never forgotten.